How’s it going? Since Spring has finally arrived I’ve been wanting to wear lighter scents to fit the warmer, (and more humid, where I live) weather. Enter Solstice Scent’s The Night Collection that Mr. Danger originally gave me for Christmas wayyyyy back in December. Yes, I have so many perfumes, it takes me that long to review things. The Night Collection is all based around Solstice Scents’ original Edge of the Night perfume, and has every variation of perfume scent style from foodie to aquatic. It’s a little bit of something for everyone. 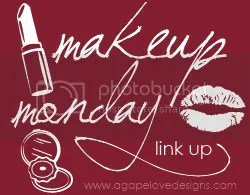 Check out if any of these could work for you! Where I live, our Winter is an emotional roller coaster. One hour it’s in the 40’s, then by midday it’s 76 degrees outside. 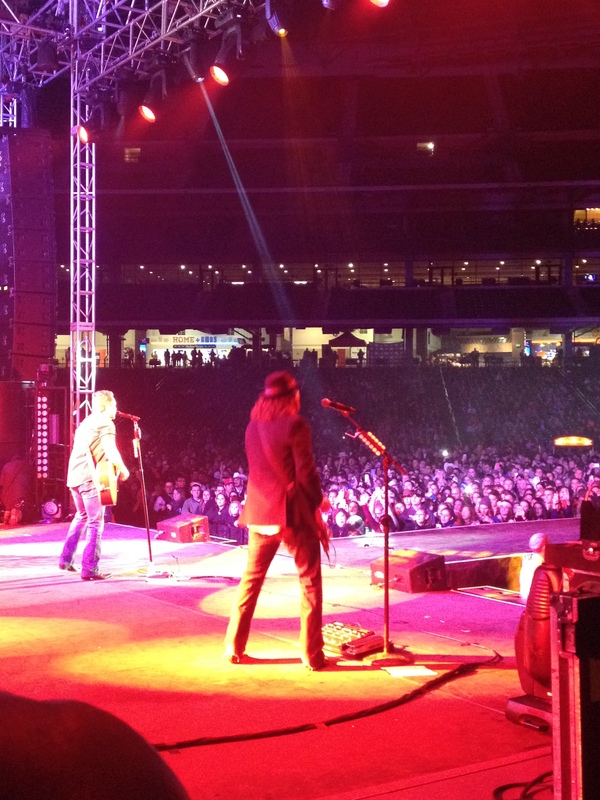 Then it’s raining and icing, then it’s foggy, then it’s a beautiful day, then it’s a hurricane. I don’t know. You wear lots of layers and hope for the best. 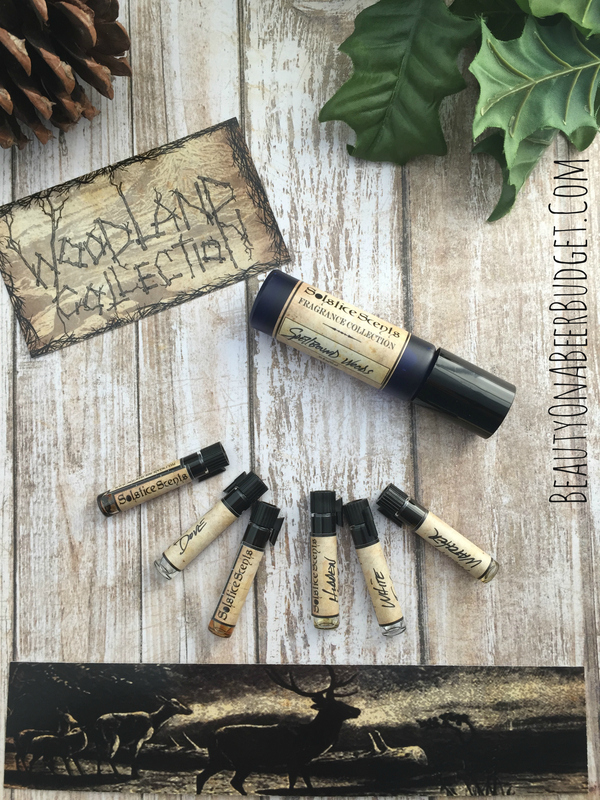 What I’m saying here is that since I don’t have the typical Winter climate or experience, I was really excited to try Solstice Scents’ Woodland Collection. First, I love their wood notes. Second, I planned to pretend I lived in a snowy, magical forest! Third, I love Solstice Scents. They have my heart. And my money. So I grabbed a sample pack of the Woodlands Collection and a full size of Spellbound Woods, a scent they were discontinuing. Was it a magical forest wonderland of smells? Read on! 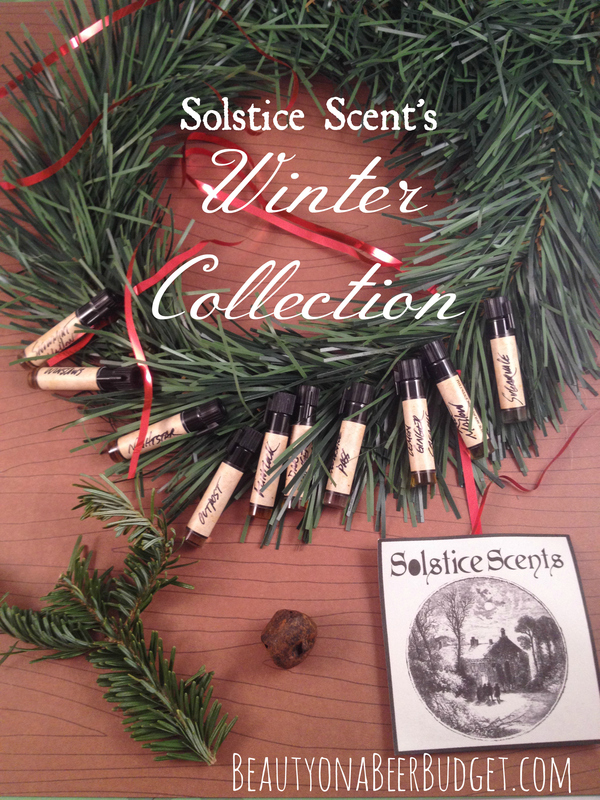 Solstice Scents just released their Woodland Collection, AKA part II of their Winter Collection, this past weekend! As I eagerly await the arrival of my goodies, I thought I would share some other Solstice Scents reviews to help bide the time. So, as many of you know, I have the coolest mommy ever. She got me samples of the Foxcroft Collection for Christmas! 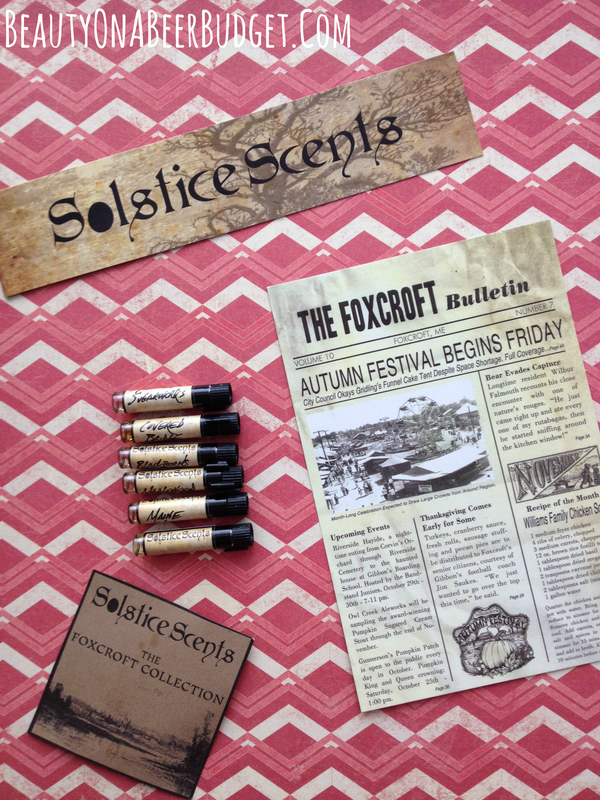 Since I’ve gotten obsessed with Solstice Scents, I’ve been dying to try the Foxcroft Collection, as its the fictional town that serves as inspiration for several perfumes. Plus it’s just kinda cool. 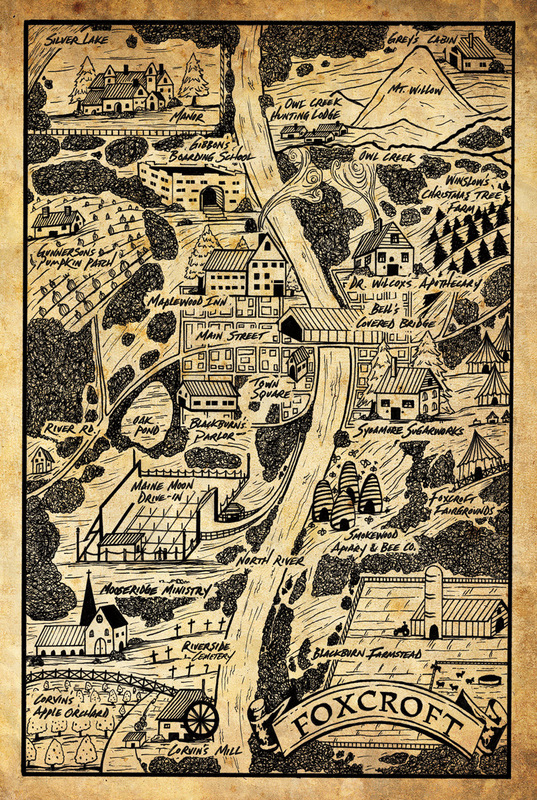 I love the story created around this town, it seems like it would be such a charming and pleasant place if it was real. I’d probably try to get a job working at Owl Creek Aleworks. 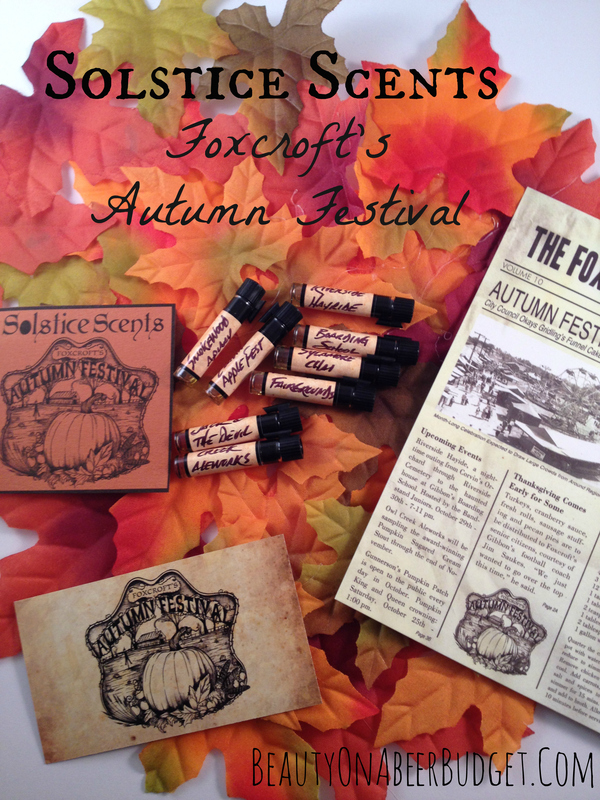 Anyway, Foxcroft’s Autumn Collection has been one of my favorite perfume collections to date, so I was very excited to revisit Foxcroft with its original collection. This was a gift from my mom, but the samples are listed for $14 on the website. 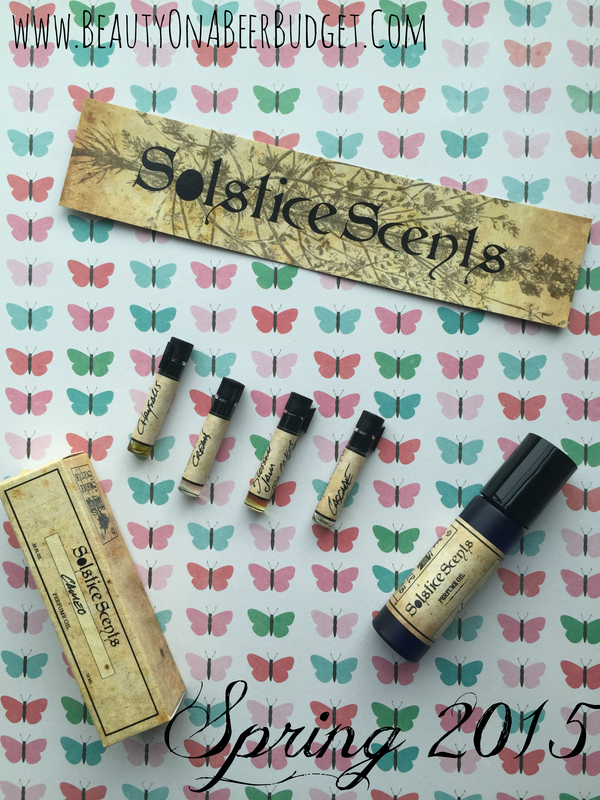 My mom said Solstice Scents shipped quickly and arrived just as fast, which somewhat surprised her because she wasn’t so sure about the website. (She’s not used to indies yet, I’m slowly bringing her into the fold, though.) All in all, she had a good experience ordering from them, which I’ve found to be the norm for them. So let’s check out the scents! 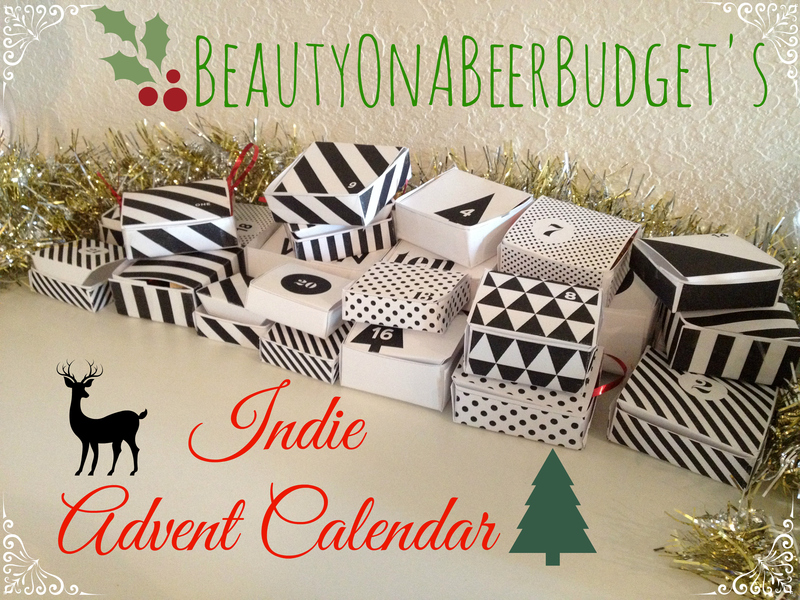 Indie Advent Calendar: Christmas Day Haul! I hope you’ve had a fantastic holiday! Mr. Danger and I had two awesome days with both sides of our families. We are super lucky to have families who we love and enjoy spending time with, and a good time was had by all! For the final Indie Advent Calender day, Mr. Danger threw a bunch of bath products in a box, and it was such a nice little haul with Haus of Gloi, sixteen92, and Solstice Scents products. I am a very spoiled lady! The only way I finished it was by bribing myself with perfumes from Solstice Scent’s Winter Collection. I’m not even joking. Every chapter that I did a revision on, I got to smell a scent and write about it. I’ve been working on this thesis for a year and my motivation was pretty low. So thanks Solstice Scents, for helping me complete it! I accidentally placed two orders because I got so excited, (I also bought Whipped Soaps in Corvin’s Apple Fest and Owlcreek Aleworks, plus a full sized Foxcroft Fairgrounds) and Solstice Scents kindly combined my shipping and refunded me the difference. They also included BOTH of the freebie samples I asked for from each order, which they did not have to do. So what I’m saying here, is customer service from Solstice Scents is amazinggggggg. Anyway, the best part is the scents, so let’s get sniffing. Thesis turned my brain to mush and I forgot how apostrophe “s” works. Ooooops. Something to know about me: I may not be timely, but I am thorough! For instance, it may be November 7th, but I am determined to do my October Favorites post. Because it will get done, maybe a week late, but, DONE. My classmates thought this would go well in my Appendix. 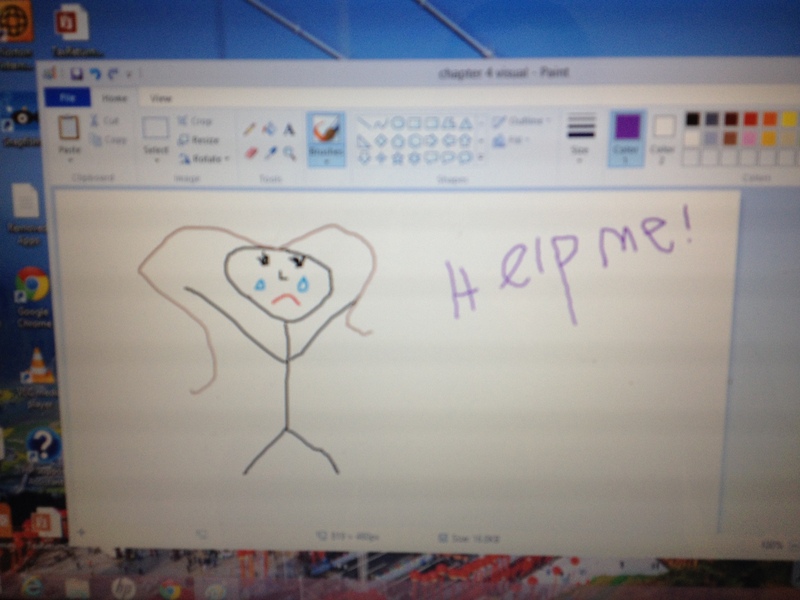 Also, this is not a cry for help, makeup will save me. So I spent some time debating if I was going to do any reviews of the indie perfume world I’ve dived head first into after getting a small sample in one of my subscriptions. About a month ago I didn’t know much about mainstream perfume, let alone the wide and varied range of indies. However, in the interest of “adding to the literature” on indie perfumes, I decided to go ahead and review. (I’ve been doing too much lit review for my thesis, and it’s showing). Before purchasing any of my perfume samples, I did a bunch of google research, (more fun than thesis research), to see what I would like and not like. 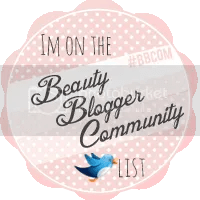 While there are a handful of awesome bloggers reviewing these kinds of scents, sometimes it was hard to find impressions on specific scents or brands. Hopefully I can help fill in that void! 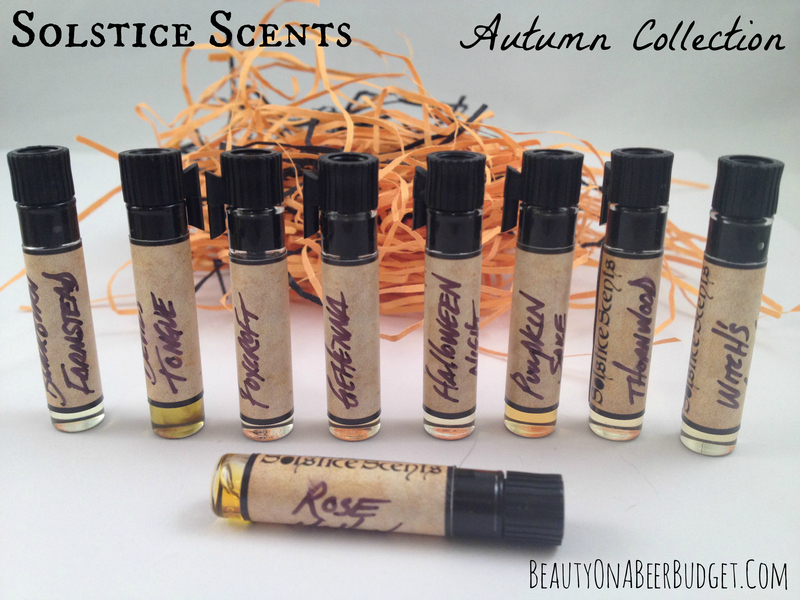 So for my first indie perfume review, I picked a well-established brand, Solstice Scents. Given the time of year, and my love of seasonal themes, I jumped right in with their Autumn Collection (Part I, apparently).